Created by Danish designer Henrik Pedersen, Click is a complete line of furniture for outdoors or indoors: armchairs, rocking chairs, footrests and sunloungers. 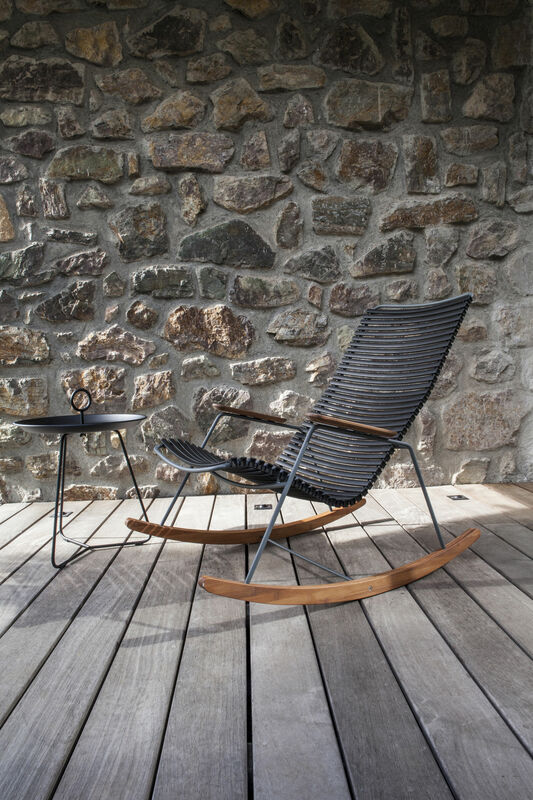 This fun, comfortable rocking chair is as at home outside as it is inside. Ideal for rocking the hours away on mild summer evenings, head laid comfortably back ... 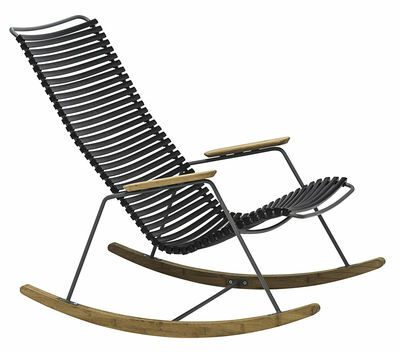 The lines of this rocking chair with its bamboo armrests and rockers are both pure and elegant. The epoxy lacquered metal base provides excellent weather resistance. 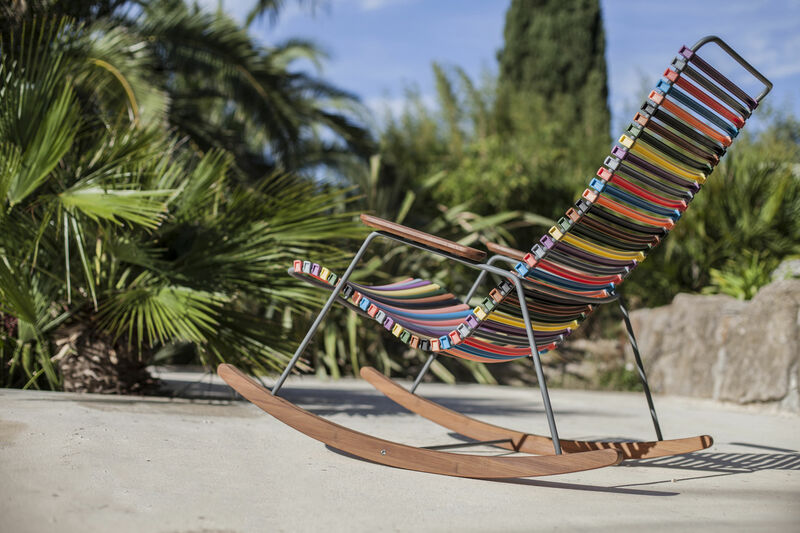 The seat and backrest are made of plastic slats which can easily be disassembled and reassembled: have fun mixing the colours of several armchairs to create an ultra-personalised style!